This resort is home to the Moorea Dolphin Centre. Beautiful, large, resort with welcoming staff. Several room categories including more cost efficient rooms in the main building. Dive Centre on site. Great variety of food at reasonable prices. 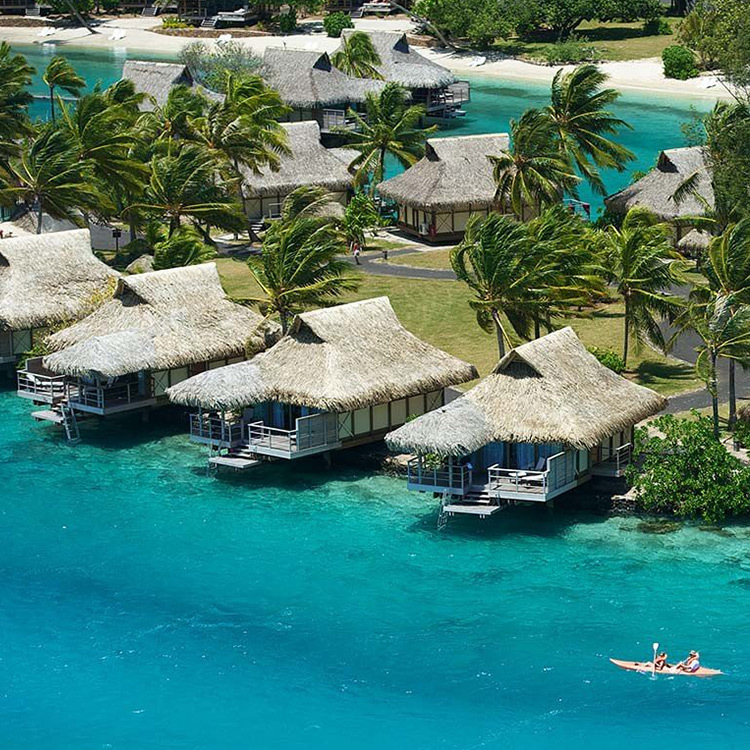 Home to the popular Moorea Dolphin Center and Sea Turtle Clinic, the InterContinental Moorea Resort has become a sanctuary for the island’s most precious marine life. In addition, the Hélène Spa provides a tranquil escape for those in search of the ultimate relaxation. Other guest amenities include three hotel restaurants offering traditional Polynesian and international cuisine, an outdoor swimming pool, kids club, and the widest range of water sports on the island. Set on 11 hectares of beachfront gardens, this refined resort is 11 km from Belvedere Lookout and 24 km from Moorea Green Pearl Golf Course. Warm rooms with wood and wicker furnishings offer flat-screens and Wi-Fi, as well as minibars, tea and coffeemakers, and either terraces or balconies. Some bungalows add plunge pools or direct beach access, while others are set on piers over the ocean. Room service is available. Amenities include 3 open-air eateries and a beachfront bar, plus a spa, a gym, a tennis court and 2 outdoor pools. There’s a kids’ club, and a marine center for dolphin and turtle encounters. Boat rentals and tours are offered.